Categorizing an act as ‘violence’, ‘resistance’, ‘defense’ or ‘punishment’ depends on the context within which the act occurs. 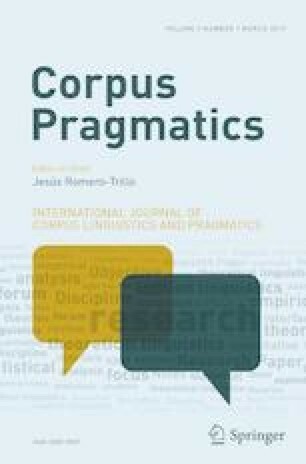 Concerned with the context of violence, this study adopts a pragmatic approach to focus on the techniques ISIS uses to project participants involved in the context of violence, in corpora representing the Arabic and English ISIS discourses in 2014 and 2015. FrameNet is employed to identify the typical participants in the violence contexts/frames. Results show that the projection of participants in violent events systematically varies according to the addressed society ISIS targets. ISIS depends on priming historical conflicts to urge hostile encounter against socio-linguistically and historically diverse enemies. Addressing the Arab world in which the Shia/Sunni conflict is central, ISIS wages the war mainly against Safawi armies. However, the ISIS English discourse basically activates the Crusader/Muslim war. Overall, four expandable designations are constantly used to label any ISIS enemy: ‘crusader’ for Christian enemies; ‘Murtadd’ for Sunni Muslim opponents; ‘Safawi’ for Shia adversaries and ‘Kuffar/disbelievers’ for religiously undefined groups. The online version of this article ( https://doi.org/10.1007/s41701-019-00055-y) contains supplementary material, which is available to authorized users. I would like to thank the anonymous reviewers for their useful comments on the earlier draft of this article. I would also like to thank Miss Megan E. Wagy and Dr Tyler J. True, Northern Arizona University, for the esthetic work they did by proofreading this article.